On the face of it, it wasn’t anything to shout about -- just more stats in a world drowning in numbers. These happen to have been put out by the U.S. Department of Energy and they reflected, as an Associated Press headline put it, the “biggest jump ever seen in global warming gases.” In other words, in 2010, humanity (with a special bow to China, the United States, and onrushing India) managed to pump more carbon dioxide into the atmosphere than at any time since the industrial revolution began -- 564 million more tons than in 2009, which represents an increase of 6%. According to AP’s Seth Borenstein, that’s “higher than the worst case scenario outlined by climate experts just four years ago.” He’s talking about the Intergovernmental Panel on Climate Change, or IPCC, which is, if anything, considered "conservative" in its projections of future catastrophe by many climate scientists. Put another way, we’re talking more greenhouse gases than have entered the Earth’s atmosphere in tens of millions of years. 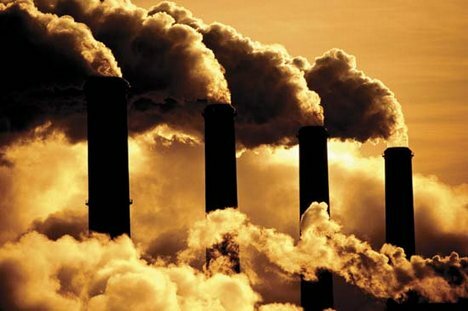 Consider as well the prediction offered by Fatih Birol, chief economist at the International Energy Agency: without an effective international agreement to staunch greenhouse gases within five years, the door will close on preventing a potentially disastrous rise in the planet’s temperature. You’re talking, that is, about the kind of freaky weather that will make October’s bizarre snowstorm in the Northeast look like a walk in the park. (That storm had all the signs of a climate-change-induced bit of extreme weather: New York City hadn’t recorded an October snowfall like it since the Civil War and it managed to hit the region in a period of ongoing warmth when the trees hadn’t yet had the decency to lose their leaves, producing a chaos of downed electrical wires.) And don’t get me started on what this would mean in terms of future planetary hot spells or sea-level rise. Honestly, if we were sane, if the media had its head in the right place, this would have been screaming headlines. It would have put Rick Perry and Herman Cain and the Kardashians and Italy and Greece andMichael Jackson’s doctor in the shade. The only good news -- and because it unsettled the politics of the 2012 election, it did garner a few headlines -- was that the movement Bill McKibben and 350.org spearheaded to turn back the tar-sands pipeline from Hades (or its earthly global-warming equivalent, which is Alberta, Canada) gained traction in our Occupy Wall Street moment. Check out McKibben’s account of it, “Puncturing the Pipeline,” and think of it as a harbinger. Mark my words on this one: sooner or later, Americans are going to wake up to climate change, just as they have this year on the issue of inequality, and when they do, watch out. There will be political hell to pay. Tom Engelhardt, co-founder of the American Empire Project and the author of The American Way of War: How Bush’s Wars Became Obama’s as well as The End of Victory Culture, runs the Nation Institute's TomDispatch.com. His latest book, The United States of Fear (Haymarket Books), will be published in November.